Linda Morgenthaler & Rolf Adelsberger, the BOX Owners of Crossfit Horgen, are giving us a little insight into what happens at their BOX! Enjoy another episode of our Europewide BOX interviews. We have been eating Paleo for a couple of years and did lots of sports more on the endurance side but always with sessions in the fitness center. Through the two interwoven communities of Paleo and CrossFit we soon stumbled onto the Mainsite and later into the first box and WOD. We immediately realized our definition of “fit” was completely wrong – simply said: we were hooked! We believe that everyone will gain quality of life by moving better and experiencing how eating better effects our well-being. What you can reach in CrossFit regardless of your age and fitness today is simply incredible! And it is great to see these transitions happening. There is nothing as great as a woman’s smile after getting her first pull-up or a guy thanking you for now “weighing as little as he last did in his teens”. These are truly enriching and inspiring moments and we are very proud to be able to have the opportunity to share them with others. We have a very personal approach and we are fun. At our box the classes are kept small. We enforce good technique and highlight the athlete’s mobility issues holding them back – hence you will get a lot of feedback from the trainer and every WOD is tailored to you. At our box everybody knows your name (otherwise there is a 20 burpee penalty!) and they will not let you finish without encouragement. This is probably one of the biggest plus: our awesome community. Our athletes are just all around awesome people you love to spend time with them and get a workout in. Since we just opened this year we are still growing very rapidly and are at about 70 members and growing. We have an awesome mix of ages ranging between 17 and 72 years old (! ), 50% of them women and it is just inspiring! While most of them are between 20 and 35, we have about a dozen above 60 years of age. The big chunk of our athletes are completely new to CrossFit but we also have some upcoming Firebreathers and I am sure there will be more as we grow and the athletes get more experienced. We offer special advanced classes like Olympic Lifting and a more “tuned-down” class for our Masters 50+ of age. While our Masters feel very welcome in every class, especially our members 60 and above enjoy having a class just for them and it makes it easier for new Masters to start with us as well. Other components like gymnastics and mobility are integrated into every class. Yes. But we don’t like to lecture or consult. We just actively encourage them to try out how food effects their well-being and fitness and then decide for themselves how they want to eat. We also do two Paleo Challenges per year to help them try it out and have a small “kick-start” to make the switch. As a beginner you will join an on-ramp course where you will learn all of the fundamentional movements, get your mobility assessed and gradually used to the high intensity of the training. After this course (usually 2-3 weeks) you will join the regular classes where you will get an extra scaling option every WOD – depending on some benchmarks we use to assess your skill level. Yes, we have about 2 competitions per year for for our box opening and organize several internal or online competition workouts in our box for the athletes to participate. The community is still pretty small in Switzerland and we are in contact with the other Swiss boxes like Hillseeker CrossFit, CrossFit Schaffhausen, CrossFit Zug, CrossFit Basel, CrossFit TB, CrossFit Baden and CrossFit Basilisk. We also have contact to the Kettlebell schools and Weightlifting clubs of our region. We would love to have you! 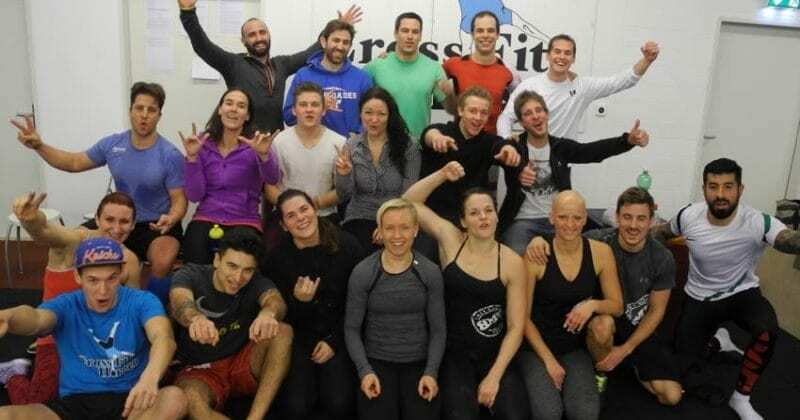 Just shoot us an e-mail at info@crossfithorgen.ch and tell us which class you would like to join.